Supply, Install and Repair Commercial Doors and Door Hardware. Residential door repair and replacement. and door repair so the entryway to their workspace is both welcoming and secure. Providing repairs for commercial glass doors and door mechanisms–including pivots, hinges, frames, and closers–in a timely manner. 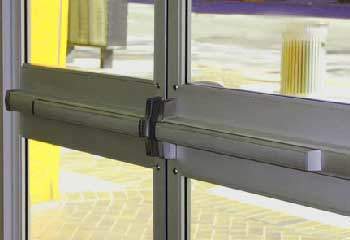 We repair all type of aluminum doors and door mechanisms, including pivots, hinges, frame, and closers in a timely manner. 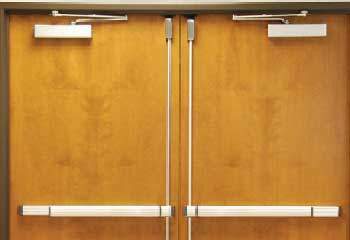 Repair service all type of fireproof doors and door mechanisms, including pivots, hinges, frame, and closers in a timely manner. 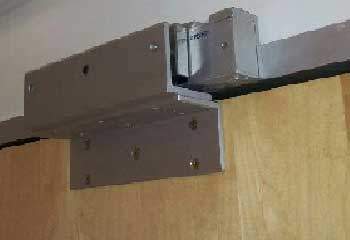 Wood door repair and door mechanisms, including pivots, hinges, frame, panic device and door closers in a timely manner. For us, installing and servicing commercial doors is second nature. We supply and install commercial doors that are adapted to fit a unique location, according to the precise measurements and design of the architect. Furthermore, we install and repair commercial doors to withstand the daily wear and tear that comes with owning and operating a business. 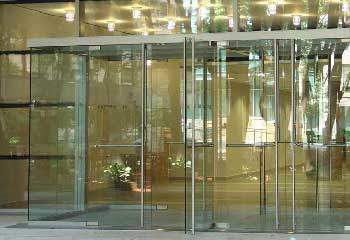 We are offering an intensive commercial door installation, door repairs, and maintenance services in NYC and Long-Island. 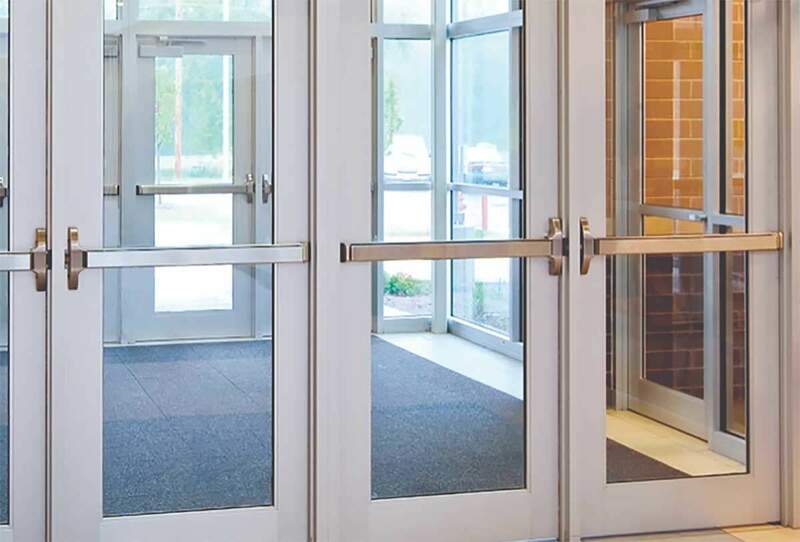 If your business needs to repair or install commercial storefront doors, glass doors, wood doors, and/or metal doors and requires commercial door hardware accessories such as door closers, hinges, pivots, handles, locks, panic devices, and access control systems- then Door Repair NYC is the company for you! Moreover, we offer a wide range of glass types including (but not limited to) tempered glass, laminated glass, and various colored glass. Your utmost satisfaction is our top priority! At Door Repair NYC, we take pride in providing you with the latest products and installation methods, as well as prompt and reliable service. As such, we guarantee superior results and satisfaction. Please see our customers’ reviews if you would like to read more about the feedback we receive. We would be more than happy to provide references. 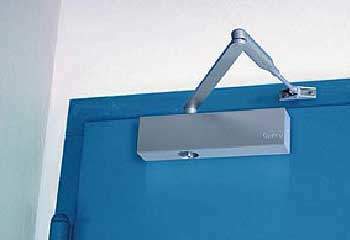 Variety of door closers, including surface-mounted, floor closers, and overhead concealed closers. Providing the best brand name closers at the best competitive prices. 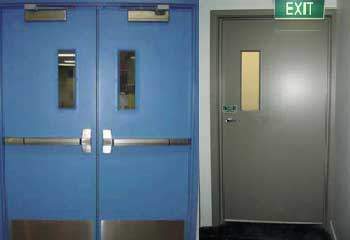 We, at Door repair NYC supplies and installs the best quality push bar/panic bar/mechanical exit devices. We also offer electrical and alarmed-activated exit devices. Selected top quality access control systems. These include magnetic locks, intercom buzzer system and smart locks. We tailor each system to your specific needs. As a door company in NYC, we provide services in Manhattan, Brooklyn, Queens, and the Bronx, as well as all across Long Island. 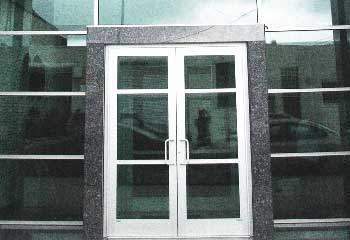 Moreover, we offer the best commercial door repair services at the fairest prices. Yes! Door Repair NYC is fully licensed and insured. Unfortunately, accidents & breakdowns can happen at any time. Thus, we offer a 24-hour/7-day emergency service for any commercial door repair in New York City and Long Island. Routine maintenance can help identify problems before they happen, saving you money and time on costly repairs. Our service experts are available to make sure your door and its parts function properly and smoothly. This service includes adjustments, alignments, lubrication, and strengthening of screws. Up to 1 year for all repairs and installations. Do You Repair Residential Doors? We have been fixing and installing residential doors for more than 10 years. Further, when you hire us, you benefit from years of experience and the knowledge that your doors are safe to use by visitors. When you hire us for commercial door repairs, we’ll take the time to do a thorough, comprehensive assessment. At this point, we will give you an estimate of the cost so that you know what to expect. Finally, our experienced and licensed technicians will get to work. Above all, we pride ourselves on working carefully and efficiently so that you come away satisfied. We recognize that a poorly functioning door can impact your business, and we understand that a worn door can ruin your property’s curb appeal. Our technicians will take the time to perform efficient repairs and installations that LAST. All of our technicians have at least five years of experience in door repair and installation, and they are courteous professionals who work efficiently to make sure you can get back on track in no time. “Great service. I had an interior door that had a broken hinge. No one including the super in the building could figure out how to fix this. The super wanted me to go to the auto body shop around the corner and see if they would come over and WELD THE HINGE, crazy! They fixed my door beautifuly, works like a door is supposed to.